My loss is your gain! 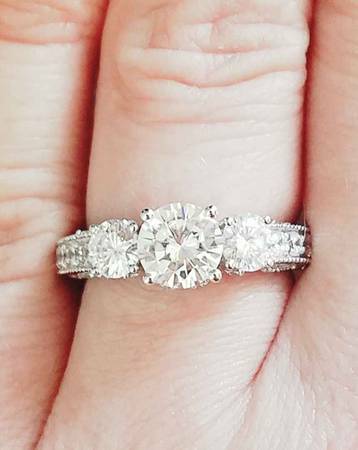 my engagement ring is moissanite, an ethical choice if you are looking for an alternative to diamonds! its 1.5 carats total weight. beautiful clarity. Paid $1000, it was worn less than 1 year. Has been cleaned! Thanks for looking! Additional pictures available upon request!